But otherwise, the lively 41-year-old Mallorcan of choice doesn’t fit at all with this stereotype. Only this quote of hers underlines it: “I prefer the mountains to the sea.” That’s why she lives in Sóller and not in Puerto de Sóller. She grew up in Switzerland, in the city of Schaffhausen. However, she has a German passport, because her parents are Germans. Katja: “As a child I felt my nationality in Switzerland, where Germans are not liked too much. But certainly my cultural imprint is Swiss.” She went to school there and underwent a tourism apprenticeship. At the age of 18, wanderlust overtook her, leading her on journeys around the globe over 19 years. In 2002 Mallorca became Katja’s new homeland. It wasn’t primarily sea and sunshine that attracted her, but the implementation of her spectacular business concept – which has made her almost a celebrity on the island. There´s a media hype surrounding her, which reached a peak in July 2008, when the renowned German weekly publication “Focus” featured Katja on its cover. “Focus” magazine reported on German employees and entrepreneurs who had managed to realize many people´s dream: being economically successful in an expat paradise. Katja Wöhr is one of them. Her business is selling salt – not your average table salt, though, but “the salt of the sea´s blossoms”, better known as “Flor de Sal”. The idea is not exactly new. This kind of salt mining is an old tradition. In France and Spain, coast dwellers have harvested sea salt crusts from still lakes over generations for gastronomy and domestic use. Once, Katja saw farmers in southern France skimming salt crusts with meditative movements. The idea was born. The Salines of Es Trenc near Campos were destined to become the first harvest fields. The man-made salt lakes in the nature reserve are not accessible to the public. “A lot of effort was necessary to convince local administration of my idea. 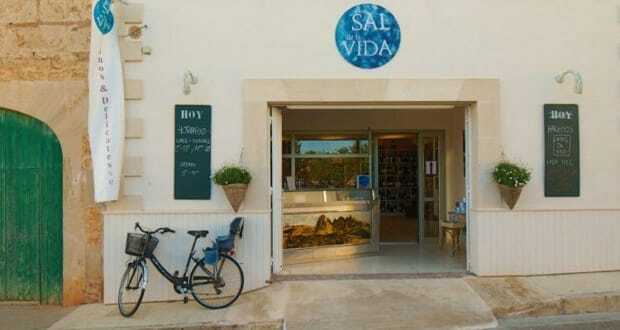 In 2003 I obtained the licence to mine salt in the Salines”, Katja explains. Then things moved quickly. In the same year British Michelin-star-chef Marc Fosh (Read´s Hotel) joined the project by mixing the Flor de Sal with exquisite spices. Katja knows: “Marc´s fame is my key to success. Thanks to his name, my product´s quality is really recognized on the gourmet market.” Flavouring the salt was the new attraction. Katja´s ambition broke the locals´ ice. “Flor de Sal” was awarded the first prize in Calvià´s annual entrepreneuer contest (“Proyecto innovador”) in 2003. “If one is absolutely convinced of one’s concept, making money is a natural consequence”, Katja remarks. 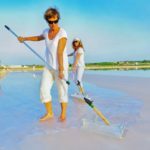 Her company Gusto Mundial Balearides harvests between 20 and 28 tons of salt blossoms a year, which are sold in tin cans to delicatessen shops and luxury hotels worldwide. 150,000 cans a year are sold, at a price range between 7.50 and 16.80 euros. The labelling looks eye-catchingly upmarket. Was there a tough marketing strategy behind, to push sales of “Flor de Sal” with fancy corporate design? “Not at all”, the Swiss-German woman states. “At a workshop for new business founders in Palma, one of the teachers handed me the contact of a company for graphic design in Barcelona. They sent us three proposals. One of them fit and remains until today.” For the mining of the amount of salt needed, the Salines in Es Trenc are not enough. “Gusto Mundial Balearides” uses a second salt field in the “Delta de Ebro” in Tarragona (Catalonia) where nowadays more than 60 per cent (20 tons) of Flor de Sal’s annual production are gained. In the storage depot in Santanyí the salt is gathered, dried, mixed, packed and prepared for export. Why is this salt better than table salt from the supermarket? “At the beginning I had to explain that to many people”, Katja replies. In fact Flor de Sal consists of highly concentrated salt crystals which, laboratory examination reveals, contain valuable elements. The salt is porous, cleft and seems wet. The humidity is caused by high magnesium concentration that also acts as flavour enhancer. Compared with average cooking salt Flor de Sal contains almost 20 times more magnesium. This advances health, as well as the higher concentration of potassium, calcium and micronutrients. The spices added are delicacies: blossoms of hibiscus, pulverized Greek calamata olives, rosemary, thyme and so on. Pure Flor de Sal is also available. It´s everybody´s own chance to sample how the “salt flowers melt on the tongue”, as Katja describes it. 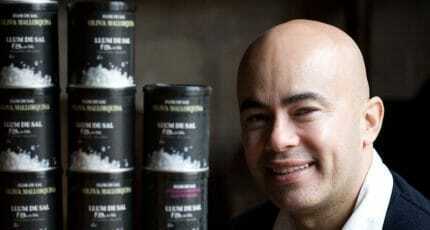 All the salt blossom products are exclusively sold in delicatessens and used in gourmet gastronomy. Katja: “If the salt was available on the shelves of big supermarkets, we would destroy the product´s select image.” Personal recipes from Marc Fosh come with every can, giving the Flor de Sal an added value. 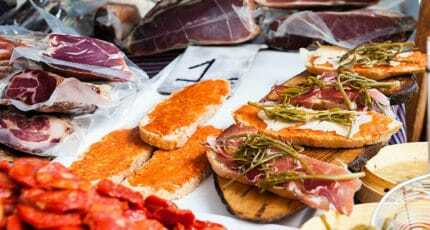 The delivery of top-class gastronomy in seven European countries, plus USA, Canada and Japan, makes the salt´s image. In autumn 2008 the product portfolio will be expanded. “Flor de Sal Rosa” with rose blossoms, Szechuan- and Sarawak-pepper is already available. The highlights are new 60-gram tins with more highly concentrated spice ingredients, depending on the season: orange-chilli or lemon-thyme (in spring), beetroot and wine (in autumn) or truffle (in winter). It´s a special limited edition. In October 2008 a range of spa salt will be launched and, for March 2009, Katja´s preparing a cookery book and restaurant guide with recipes of the island´s best chefs cooking with Flor de Sal. Soon an internet shop for online sales in Germany will be opened, where the key market lies. 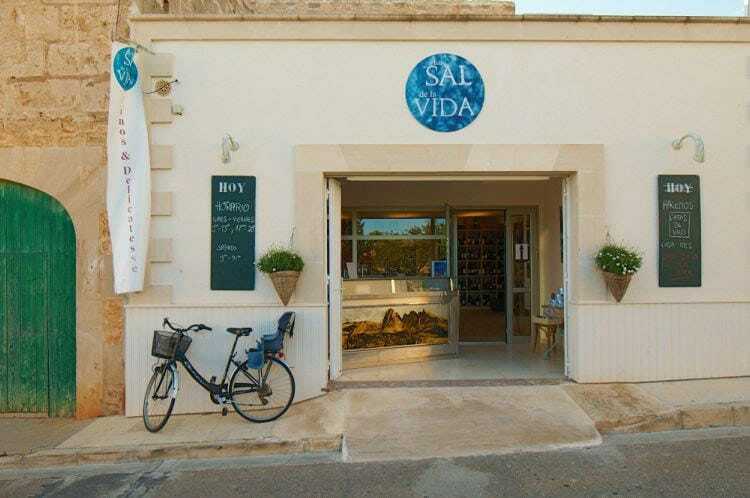 The communicative lady runs her own delicatessen shop in Santanyí, which is a wellness place – interior-designed using feng shui principles. “Catas de Vino”, winetastings with tapas, take place there from time to time bringing together foodies and wine growers. When Katja has some free minutes in her private life – the workaholic doesn´t enjoy this very often – she goes swimming and dedicates free time to her three-year-old daughter Florencia, who´s simply called “Flor” by all her friends. Could any nickname fit better to the daughter of the “Flor de Sal” creator? 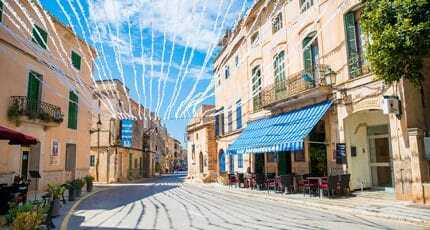 We hope you have found this article about the Flor de Sal d’es trenc useful and that you have many memorable stays in Mallorca as a result of our recommendations.